As at 1 January 2019, certain legal entities carrying on relevant activities are required by the newly effective Economic Substance Law to demonstrate adequate economic substance in the Cayman Islands. Any company, LLC or LLP registered or incorporated in the Cayman Islands should be aware of this legislation and consider how it may be affected. 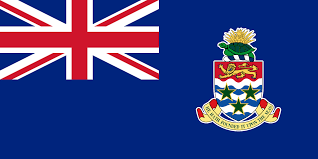 The laws require further detail and will be progressively added over the coming months by the Cayman Islands Tax Information Authority (TIA). We expect that industry specific guidance to be released. Transitional provisions allow relevant entities that existed before 1 January 2019 and that are conducting relevant activities on that date to comply with the economic substance requirements from 1 July 2019 onwards. Relevant entities that are established from 1 January 2019 onwards will have to comply with the requirements from commencement. These new Laws are derived from the EU Code of Conduct Group and recent OECD guidance on the economic substance of certain entities in jurisdictions with low or zero corporation tax. The Laws demonstrate the continued commitment of the Cayman Islands to international best practice. This is broadly consistent with the recent approach taken in Jersey, Guernsey, the Isle of Man, the British Virgin Islands and Bermuda. The Laws impose certain economic substance requirements on Cayman Islands relevant entities which carry on a relevant activity. Any Cayman Islands company, LLC or LLP and any foreign company which is registered in the Cayman Islands as a foreign company may be a relevant entity, in each case unless their business is centrally managed and controlled outside the Cayman Islands and the entity is tax resident outside the Cayman Islands. The relevant activities are: Banking business, Distribution and service centre business, Financing and leasing business, Fund management business, Headquarters business, Holding company business, Insurance business, Intellectual property business, Shipping business. Relevant entities that are conducting relevant activities may be required to implement processes to allow compliance with the requirements of the Laws regarding economic substance in the Cayman Islands for each relevant activity they conduct. From 2020, all relevant entities must include a declaration in their annual return as to whether or not they are conducting a relevant activity. Relevant entities conducting relevant activities must demonstrate economic substance and make annual filings with the TIA from 2020. Non-compliant entities will be reported to tax authorities in the jurisdiction where the beneficial owner resides and the tax authority of the country of incorporation of the entity.